With the Nooteboom EXTENDABLE TRAILER any self-supporting long load can be transported. The EXTENDABLE TRAILER is a trailer which can be put to work with the greatest efficiency and at the lowest possible transport costs. A ballasttrailer like this one enables your transport operator to transport crane ballast. The Nooteboom EXTENDABLE TRAILER is offered to you in different versions: the OVB TELETRAILER, OVB TELESTEP and OVB BALLASTTRAILER. Our extendable trailers feature a flat, extendible load floor and hydraulically forced steering. The very large steering angle makes the manoeuvrability of the Nooteboom EXTENDABLE TRAILER exceptional. Moreover, this hydraulic steering of the ballasttrailer and Teletrailer ensures the maintenance costs are very low and tyre wear is kept to a minimum. 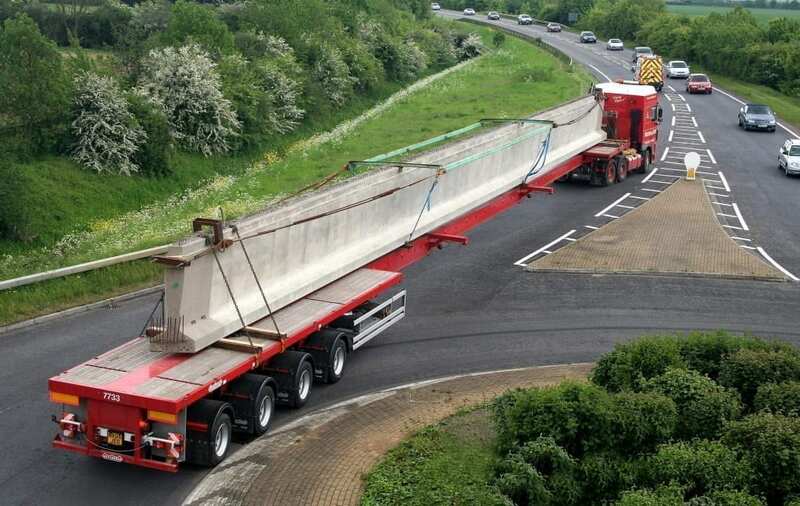 On every vehicle in the EXTENDABLE TRAILER programme Nooteboom employs the unique concept of pre-cambered beams for which an international patent has been granted. With this special camber the load floor of the tele trailer stays perfectly flat when retracted. This is of practical benefit when loading containers. In unloaded, extended position the chassis is slightly arched (cambered) so there is hardly any sagging of the load surface. The EXTENDABLE TRAILER also guarantees that the load floor can be retracted or extended without difficulty. If a EXTENDABLE TRAILER is what you are looking for, you are more than welcome to request a quote. This is, of course, free of charge. Together we will find a EXTENDABLE TRAILER that best fits your transportation needs, so that you will every day experience the greatest possible added value for your business. Nooteboom gets you there.